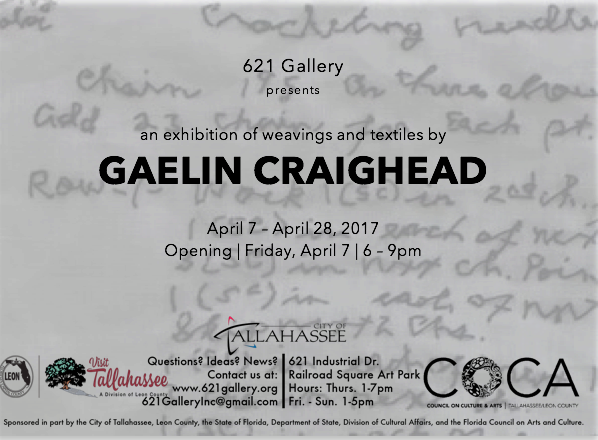 FSU Art MFA ’16 Gaelin Craighead will exhibit a collection of weavings and textiles at 621 Gallery from April 7th, 2017 to April 28th, 2017. An opening reception will be held on April 7th from 6:00PM to 9:00PM. For more information about Craighead and her art, please visit her website.